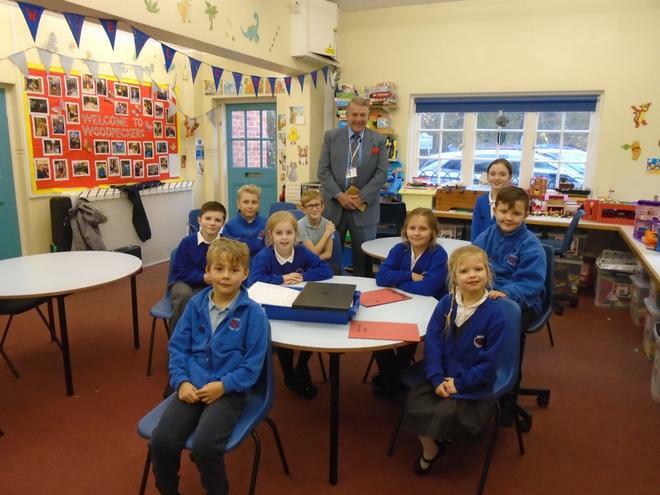 The School Council welcomed Tony Ewer, School Governor, when he paid them a visit on their meeting. After listening to the various items on the meeting's agenda, he was very impressed with the various displays of leadership by our young councillors. The children also had the opportunity to ask him questions about his role as a governor. The School Council will now be working on their new project on Children's rights.